​To be our customers leading supplier of quality inputs and services and marketer of our customers products, thus enabling our current and emerging stakeholders to achieve their goals, while improving the profitability of all. MKC will be a highly-valued, customer-focused business, engaged in profitable relationships, with high business ethics and employee satisfaction. MKC is a full-service farm cooperative offering a complete line of supplies and services for both farm and urban customers in 24 counties throughout Kansas. 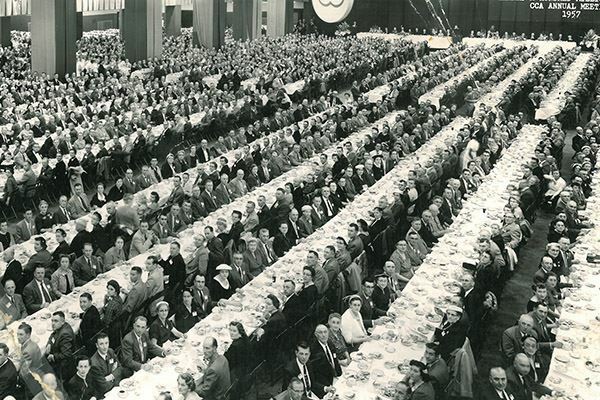 With a current membership of more than 8,300 members, MKC was founded in 1965 by the merger of three neighboring cooperatives in Moundridge, Buhler, and Groveland. Since its founding, it has grown in size and territory through mergers and acquisitions. More than 325 employees play an important role in the growth and success of MKC. MKC is committed to helping our rural communities prosper and prepare for tomorrow. Developing leaders within our communities, alleviating hunger and enhancing ag education and community safety are just some of the programs that we are proud to support. 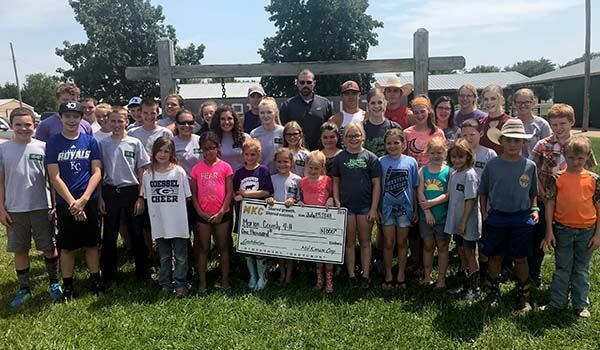 Over the past five years, more than $500,000 has been donated to these types of programs including the following 4-H Leadership Development, Mennonite Relief, community food banks, FFA, Ag in the Classroom, community festivals and more. Thank you for your interest in MKC. Whether you are looking to become a member, establish a charge account or add a Fuel 24 card, you have come to the right place. - Can be completed electronically or by hand. - Submit by mail, at your nearest MKC location or by email. - If submitted by email, application must be printed, signed and then scanned in to email. Click the buttons below to access MKC membership and credit documents or the MKC Fuel Card application. If you have any questions regarding our membership and credit forms, please email us at contactus@mkcoop.com or call us at 620-345-6328. Click here to view the bylaws and articles of incorporation of MKC. While cooperatives resemble other businesses, they do have two very unique business characteristics that set them apart. First, they are owned and controlled by the members who use their services and second, the members share in the cooperative’s earnings. The MKC Board of Directors is made up of local, agricultural business leaders, who are recognized for the industry expertise, as well as economic and community development skills. The Board of Director’s mission is to provide strategic direction and promote the cooperative’s long-term growth and financial stability. The Board of Directors is composed of nine directors and up to six appointed associate directors, with two directors in the three districts and three at-large positions. Prior to the Annual Meeting, new directors are elected from the membership to serve for three-year terms. These directors represent the members of MKC. Allan Wegner operates a dryland corn and soybean operation along with a commercial cow-calf operation near Onaga, Kansas. Allan has served on the MKC Board of Directors since 2014 and was elected chairman in 2017. Prior to merging with MKC, Wegner served on the board of directors for Farmers Cooperative Association for 12 years. He also serves on the board of directors for Team Marketing Alliance, LLC. Allan believes the cooperative system must continue to grow and adapt to best serve our producers as their needs continue to evolve. He believes to do so, the cooperative system most have progressive leadership. Allan earned a B.S. in architectural engineering from Kansas State University. He and his wife, Melissa, have a 13-year-old daughter, Grace, and a nine-year-old son, Isaac. In their spare time, they enjoy landscaping, gardening, and being involved in their kids’ activities. About MKC | MKC is a full-service farm cooperative offering a complete line of supplies and services for both farm and urban customers with a footprint in 24 counties throughout Kansas. With a current membership of more than 8,300 members, MKC was founded in 1965 by the merger of three neighboring cooperatives in Moundridge, Buhler, and Groveland. Since its founding, it has grown in size and territory through mergers and acquisitions. More than 325 employees play an important role in the growth and success of MKC. Jason Gaeddert and his wife, Kristy, are involved in a diversified grain operation with his father, uncle and cousins. Jason was elected to the board of directors in May, 2007. Jason believes today's cooperatives must be competitive with other agri-businesses in providing the best products and services around. He sees the cooperative's role as a provider of agronomy products, fuel, fertilizers and other services necessary for farmers to successfully grow a crop. Key to a successful cooperative is the people associated with it. Having talented, knowledgeable staff is important, but for the co-op to be successful, it is also important to have the support of the patrons. He believes that the co-op is only as good as its employees and its patrons. Jason believes the board's role is to assist in guiding the direction of the company so that it is an even better cooperative in the future. David Mills operates a diversified grain farm which is primarily dryland, and a cow/calf herd near Abilene. 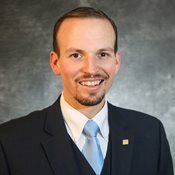 David was appointed to the board of directors as an associate board member in February, 2008 and now represents District 2. David believes the on-going consolidation in agriculture has had a big impact on ag producers. This same consolidation is happening with the suppliers of our inputs and buyers of our products which makes it even more important to have our cooperative organization. He believes members benefit by being able to build the co-op into an organization that provides all of the critical needs of the farm operation. Members also have the added bonus of sharing the profits at the end of the year. David believes that to further build MKC requires board members to guide and direct the cooperative to make sure it grows and changes to meet the ever-changing needs of the ag industry. 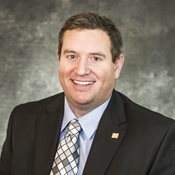 Keith Becker, Galva, was elected in 2005 to his first term on the board of directors representing District 2. Keith and his wife, Esther, primarily raise wheat with some milo production. He also does some custom farming and harvesting and is employed by Empire Township in McPherson County. His primary MKC location is Galva, with some grain hauled to Conway. Keith believes the cooperative system's strength in today's agricultural economy lies in the trust factor which comes from personal contact between local location employees and the customers. Having access to a country elevator is a tremendous advantage for the smaller farmer, he believes, and it is important that farmers support the country elevators to keep them viable. Efficient utilization of employees throughout the year is necessary in a business where much of the work is seasonal. He also believes that equipment maintenance should be a priority of the co-op. The role of a board member should be to listen and make wise decisions based on proper and accurate information, Keith believes. Board members should also allow managers to do their jobs while serving as a check to ensure the co-op's goals are being accomplished. Duane operates a diversified dryland and irrigated farm and cow-calf operation located between Lindsborg and Marquette. He has served as chairman of the Farmers Union Elevator Board of Directors at Lindsborg. Most recently, Duane served on the MKC board from 2000-2009 and was re-elected in 2011. Duane believes the key issues facing MKC today are keeping the cooperative profitable and protecting the equity of all our members while meeting the challenge of upgrading grain handling facilities. Strategic planning for short and long-term goals is very important in order to adapt to change and new challenges that face the co-op. MKC serves a variety of producers, from small to very large. He believes we need a co-op that can meet the needs of all its patrons. 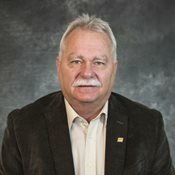 Duane believes the primary responsibility of the board of directors is to hire the CEO, establish operating policies and set objectives for the co-op. He feels attending educational courses is an excellent source for directors to not only learn strategies that other organizations are implementing, but also to share ideas and gain insight from other co-op board members from around the country. In 2010, CJ was elected to the CHS Board of Directors. He has served on the CHS Resolutions Committee and attended the CHS New Leader Institute. 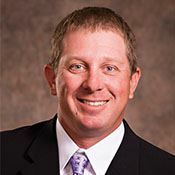 He serves on the Hutchinson Community College Ag Advisory Board, and is a member of the Kansas Livestock Association, Texas Cattle Feeder's Association and the Red Angus Association of America. 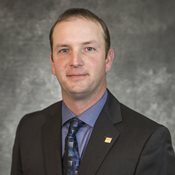 CJ holds an applied science degree in farm and ranch management from Hutchinson Community College, and has recently achieved Board Governance Fellowship status from the National Association of Corporate Directors. CJ believes local cooperatives have an important role because they can offer the service and convenience that often isn't available from independent companies. However, that also means that today's cooperatives must be more competitive with independent companies than they may have been in the past to keep member business. To become more competitive, CJ believes it is important to eliminate inefficiencies between locations and take full advantage of recent mergers by viewing MKC as one company rather than each branch as a separate entity. Board members should serve as a listening body for the members and strive to have the right people in place to carry out the day-to-day management decisions, he believes. Sara Hasty and her husband, Will, operate a diversified dryland crop operation with her father near Hesston. Sara also works with her father in a tax accounting business, specializing in agricultural businesses. 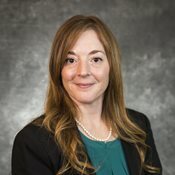 Sara was appointed to an associate director position in April 2016. She believes the way the cooperative system shares profits with the members give the system a huge advantage over independent companies. Not only can the members benefit from the current year’s profits, but they can also be a part of helping fund further development of infrastructure and services that will help their operations to succeed in the future. She thinks it’s critical to continue a growth strategy with the future of all producer-members in mind. 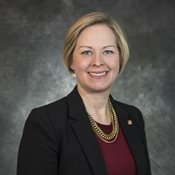 Sara believes the role of the directors is to represent the interest of all the members and help management evaluate the opportunities and risks the organization needs to take to best position the cooperative to serve current and future members. Randy Elwood and his wife, Nancy, live near Windom where they operate a diversified grain farm and have a cow-calf operation. Randy was appointed to the MKC Board of Directors as an Associate Member in the fall of 2006. Randy believes that being mindful of the needs of the co-op's customers, while balancing its own input costs in an efficient manner, is one of the marks of a successful co-op. Developing strategies to meet those needs, particularly in ensuring an available supply of fertilizer is an issue the co-op will need to deal with in the future. He believes the primary responsibility of the board of directors is to oversee management, voice opinions about issues and help determine the future direction of the company. To do this, he feels the board must work together to reach consensus on what is best for the company, not just the individual. Hal Mayer and his wife, Jill, operate a stocker operation near Alta Vista and raise corn, wheat and sorghum silage in Wabaunsee, Morris and Geary counties. Their primary MKC location is Alta Vista. 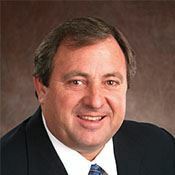 Prior to merging with MKC, Mayer served on the board of directors for Farmers Cooperative Association for more than 20 years. Mayer believes in the cooperative system and the benefits it brings to patrons. While competition is stiff, he believes the future of the cooperative looks bright. In order to be successful, he says MKC must continue to grow to meet the needs of the patrons. He believes the board should provide oversight to ensure MKC and its patrons are profitable. In addition, he says the board is tasked with ensuring the co-op has safe, up-to-date facilities and hires the best employees. Kenny Carlton joined the MKC Board of Directors as an associate director in August 2014. A native of Little River, Carlton operates a diversified grain and livestock operation, including dryland wheat, milo and soybeans with a cow-calf and stocker operation there today. Carlton worked for Farm Credit for 13 years, working in Kansas, Colorado and New Mexico. 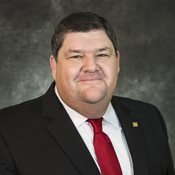 After leaving Farm Credit he returned to Little River and was the branch manager of the Little River State Bank for five years. While working at the bank, he began farming part-time with his father and later took over the farming operation. Today, Carlton is farming full-time. Carlton and his wife, Connie, have two grown sons, the youngest working on the farming operation full-time. As Carlton looks at the benefits MKC offers to its members, he believes as a progressive co-op MKC is able to bring technology and advancements in agriculture to the members. The members can then take advantage of these services and expertise of the highly-qualified employees as part of a partnership towards their own success. Carlton says over the years MKC has grown to meet the needs of the producers and is continuing to look to the future to meet the needs as agriculture is now a global market. Carlton wants members to know MKC is truly a partner in their operation. Ben Schrag and his wife, Tina, are involved in a dryland wheat, corn and soybean operation near Canton. In addition to their cropland, they have a stocker cattle operation. Ben was appointed as an Associate Director in 2016 and will serve three years on the Board of Directors. He believes the largest challenge facing producers and co-ops is staying profitable in an always changing and tightening market along with balancing member equity and the expenses of a co-op such as new infrastructure and locations. 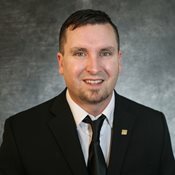 Ben looks forward to serving on the board to learn more about the cooperative system and provide input in a business that directly impacts the local economy. He looks to help develop strategic plans along with forward thinking to help MKC succeed. Ben says what makes a local co-op important is the built-in advantages over independent companies such as allowing patrons to purchase inputs and market grain collectively. MKC serves as an important role in the rural economy by providing jobs and providing producers with a place to conduct business and deliver grain. MKC is proud to have a leadership team that is passionate about and invested in the future success of the cooperative and our member-owners. Read more about our leaders and the experiences they bring to our organization by clicking on the photos below. Dave Christiansen serves as president and CEO of MKC and has since January 2004. MKC is a full-service farm cooperative offering a complete line of products, programs and services for both farm and urban customers throughout Kansas. With a current membership of more than 8,400 members, MKC specializes in grain, agronomy, energy, feed and risk management. With administrative offices in Moundridge, KS, MKC has 34 locations with more than 325 employees who play a significant role in the growth and success of MKC, vendors and customers. Dave’s industry experience began in 1973 when he became employed by the cooperative in Great Bend, KS. 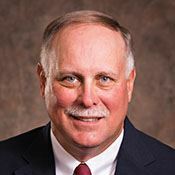 His past positions include Vice President of Ag Inputs for Panhandle Co-op in Scottsbluff, NE and President/CEO of Ag Partners Co-op in Hiawatha, KS. 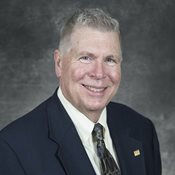 Dave has served on a number of boards and advisory councils over his 40 plus years in the cooperative system. 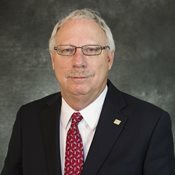 He currently serves as chairman of the United Benefits Group as well as Producer Ag LLC, Farm Kan LLC and Team Marketing Alliance LLC. 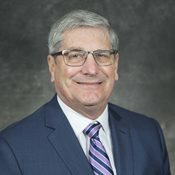 He serves on the boards for the Arthur Capper Cooperative Center at Kansas State University, CHS Member Advisory Committee and McPherson College Board of Trustees. Dave and his wife, Cindy, have three children and seven grandchildren. Danny Posch serves as the chief financial officer and senior vice president for MKC. Before joining MKC, Danny was a partner with Lindburg Vogel Pierce Farris. 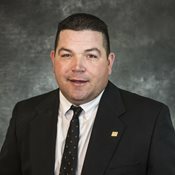 Danny serves as a director for the Cooperative Finance Association, National Council of Farmer Cooperatives, and is a member of the Finance Council for Land O’ Lakes. He graduated from Wichita State University with a degree in business administration. Danny and his wife, Jill, have four children, Gabbie, Grace, Todd and Derek. During his free time, Danny enjoys boating, skiing, wakeboarding, and watching his children participate in basketball and volleyball. David Spears currently serves as the Senior Vice President and Chief Marketing Officer of MKC. 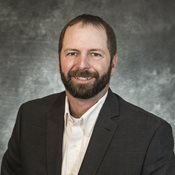 In this role since 2009, he directs all sales and marketing activities in the areas of agronomy as well as oversees Rice County Aerial, LLC. He also advises on the product development and marketing activities in the areas of grain, energy and risk management. Prior to his professional career, Dave worked on his family’s diversified livestock and grain enterprise in north central Kansas and is still actively involved in agriculture production. He received his B.S. degree in agricultural economics from Kansas State University in 1979. 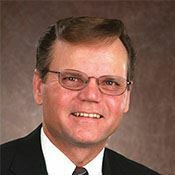 After graduating from college, he joined the lending division of the Wichita Bank for Cooperatives (later CoBank), as, among other positions, Assistant Vice President, responsible for supervising the delivery of financial services and products to Cobank's customers. During this period, he also served on various bank management, advisory and loan committees. Starting in 1989, Dave held several senior staff positions with the office of U.S. Senator Bob Dole. Spears served as Commissioner of the Commodity Futures Trading Commission. A position appointed by the President and confirmed by the United States Senate. 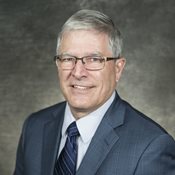 For seven years, Dave served as Director of Kansas Farm Bureau – Agriculture Solutions, Inc. Agriculture Solutions, Inc. was a new company within Kansas Farm Bureau formed to match profitable risk management tools, services, ventures and value-added opportunities with production agriculture. In 2002 President Bush appointed Dave to the Federal Prison Industries Board of Directors. He currently serves as Chairman of the Board. Dave and his wife, Pam, have two children. 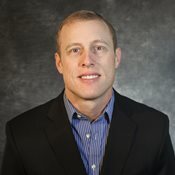 Erik Lange serves as the executive vice president and chief operating officer for MKC. Before being promoted to his current position, Erik served as the director of southern operations. He studied biology and chemistry at Emporia State University. Erik is still actively helping with his family farm that has been producing food for the world in south central Kansas for more than 100 years, currently operated by the 5th generation of his family. Prior to joining MKC, Erik was the general manager for Haskell County Grain Company and a location manager for Irsik and Doll Feed Services. Erik and his wife have three children. He stays heavily involved with his children’s activities as a youth group leader, recreational sports coach and a Cub Scout leader. “Through our engaged and responsive employee group, MKC supplies a broad range of high-quality products, services, information, and risk management strategies that help our customers and members be successful in their endeavors,” Lange says. 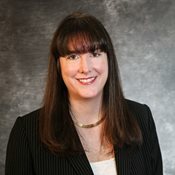 Anne Warren joins our administrative office as the executive vice president and chief human resources officer. 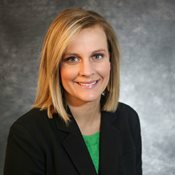 Anne received a bachelor's and master's degree from Wichita State University, and has also earned two HR certifications; one with the Senior Professional in Human Resources and the other with Society of Human Resource Management - Senior Certified Professionals. Anne has worked in the HR field for nearly 18 years. While in school, she worked full-time for the City of Wichita in their finance and IT departments. Anne was promoted to their director of human resources, overseeing HR services for 3,500 employees. Following the City of Wichita, Anne worked at EagleMed, an air medical company, where she served as their national human resources director. She then moved to be the director of human resources, U.S. for Curo Financial Technologies. Anne looks forward to being able to bring a new perspective to the company for HR, and help MKC grow and continuously improve. She looks forward to working with everyone to enhance talents and skills through continuous education, as well as promoting, attracting, hiring, and retaining great employees. Anne and her husband reside in Maize and have been married for 14 years. During her free time, she enjoys reading, learning, traveling, volunteering and spending time with her family. 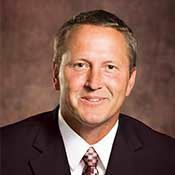 Serving as vice president of eastern operations, Darin Marti is a graduate of Kansas State University with a bachelo'rs degree in finance. Before joining MKC, Darin was the general manager of Farmers Cooperative Association in Manhattan for 10 years, general manager at Farmers Cooperative in Sabetha for 11 years and worked at Brown County Cooperative in Hiawatha for 14 years. Darin has been involved with the KFSA Board of Directors for 12 years and chairman for 6 years. 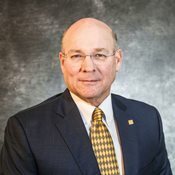 He has also served on the Nationwide Insurance Council for four years, AGP Board of Directors, Kansas Cooperative Council Board of Directors, FFA Advisory Council and various civic clubs. Darin and his wife, Jo, have two children. Jeff Jones serves as the director of southern operations and manager of the Sumner County Terminal for MKC. Prior to this role, he served as a senior location manager since October 2011. A graduate of Friends University, Jeff received a bachelor’s degree in business management. Before joining MKC, Jeff was the senior operations manager at Trugreen for 15 years. 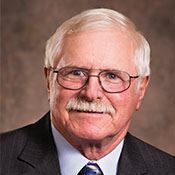 He is involved with GEAPS International Board of Directors, Great Plains GEAPS Chapter treasurer, Haven Chamber of Commerce, and is a member of the Hutchinson Community College Agriculture Advisory Board. Jeff enjoys being a part of MKC and valuing people and their personal growth. As a manager, he appreciates the opportunity to be a part of the employee growth. During his free time, Jeff enjoys to bird hunting, playing golf and traveling. Jeff is happily married to his wife, Nicole. Nathan Eck serves as the Director of Central Operations for MKC. He graduated from Kansas State University with a major in agriculture economics and a minor in agronomy. Prior to joining MKC, Nathan was a location manager for the Manhattan Co-op in Onaga. Nathan’s community involvement includes serving as a volunteer firefighter. Nathan and his wife, Haley have two children, Alaina and Hayden. During his free time, he enjoys spending time with his family, hunting and fishing. David Sell serves as the Director of Energy Operations for MKC. Prior to joining MKC, David was an agronomist, farmer, community college ag instructor and energy manager. He attended Iowa Western Community College, Iowa State University and Drake University. His community involvement includes being a church deacon, 4-H leader and a member of his local fair board, Lions Club, and Knights of Columbus group. David and his wife, Catherine, have four children, Matt, Josh, Lawrence and Winston. During his free time, David enjoys boating, fishing, hiking, livestock shows, fairs and being outdoors with his family. Jon Brown serves as the director of facilities management for MKC. Before joining the MKC team in July 2010, he was the owner and operator of Brown Construction for 9 years. Jon is actively involved in his community through the Inman Community Foundation, High School Booster Club, coaching sports, and the Central Kansas Crushers baseball and softball academy. Jon enjoys the challenge of building things that will be used by MKC producers and employees. The most rewarding part of his career involves knowing the producers will benefit from the quality of our projects. Jon and his wife, Amber, have five children. During his free time, he loves spending time with his wife and family by being outdoors fishing, swimming, and attending sporting events. Amy Meyers currently serves as the director of strategic initiatives for MKC. Amy received her bachelor’s degree in management at Pennsylvania State University. Before joining MKC, Amy worked for Norwegian Cruise Lines aboard the Pride of Aloha and Pride of America in Honolulu, HI. She served onboard in hospitality management roles and in the shore-side training operations at the Harry Lundberg School of Seamanship in Piney Point, MD. Amy is a recipient of the Balanced Scorecard Professional Certification from the Balanced Scorecard Institute, Strategy Management Group and is a Key Performance Indicator Professional. She enjoys cheering on her favorite sports teams from Pittsburgh, PA and taking care of her physical health, proudly serving on the MKC Wellness Committee. 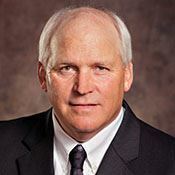 Kent Nichols currently serves as the agronomy sales manager and seed manager for MKC. He graduated from Kansas State University with a degree in agriculture economics. Before joining MKC as a field marketer in 2005, Kent worked with Agriliance. His community involvement includes the Monsanto advisory board. Kent and his wife, Emily have two children, Jack and Claire. During his free time he enjoys playing golf, helping on the family farm and spending time with his family. Troy Walker is currently serving as the agronomy field and precision ag manager for MKC. He was a graduate of Kansas State University with a bachelor's degree in geography and a minor in agronomy. Before joining MKC in 2016, Troy served as a precision ag manager for Ceres Solutions in western Indiana. Troy is involved at St. Mary’s Catholic Church in Newton and was a participant of the Indiana Ag Leadership Program. He enjoys grilling, cooking and traveling during his free time. Troy and his wife, Kata, have two children, Paul and Mary. Hilary Worcester joined MKC in July 2014 as the coordinator of talent and industry partnerships. She received her bachelor of science at Kansas State University and a master of physical therapy at Kansas Medical Center. Prior to joining MKC, Hilary worked for Menorah Medical Center, Geary Rehab, Self Regional Healthcare, Bartlesville Physical Rehab, and Poudre Valley Hospital. 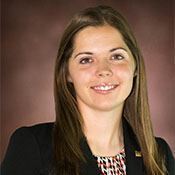 Her community involvement includes being executive committee member of the Flint Hills Farm and Ranch Club, standards advisor for Alpha Delta Pi sorority, Little Apple Bikes volunteer and an FFA volunteer. Hilary enjoys cycling, hiking, traveling, and cooking with her husband, Jake. 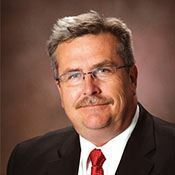 Larry Brake currently serves as a senior location manager for MKC managing the Abilene location. Before joining MKC, Larry worked for AgriPro and BASF Plant Science for 20 years. He graduated from Ohio State University with a Bachelor’s of Science degree in agriculture. Larry is involved with the Elder Faith Lutheran Church and Wild Bill Hickok Rodeo Committee. Larry and his wife, Cindy, have two children, Derek and Lauren. 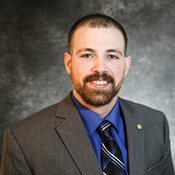 Shane Eck has served as a senior location manager in Lindsborg since December 2010. He received his bachelor's degree from Kansas State University in agriculture economics. Prior to joining MKC, Shane worked at the Farmers Co-op in Manhattan from 1996 to 2001 and at the Dodge City Co-op from 2001 to 2010. 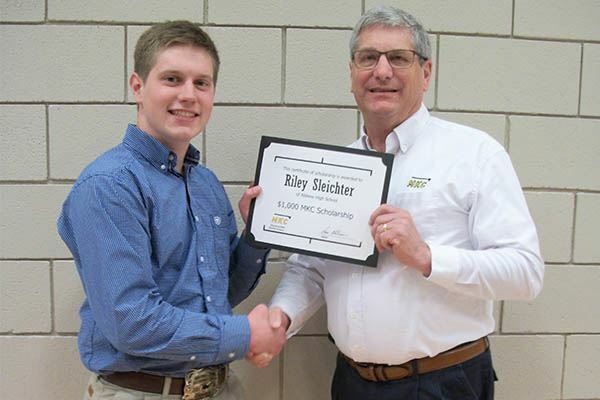 His leadership involvement includes Kansas Agriculture and Rural Leadership Class XII member. He enjoys assisting his three boys with their swine project, hunting, camping and fishing. Shane appreciates the value MKC provides to the growers such as multiple risk management opportunities. Brett Myers serves as a senior location manager for MKC managing the Manhattan location. He received a bachelor’s degree in marketing from Fort Hays State University. Brett grew up in the grain elevator business and first managed a full-service grain, feed and agronomy location in Galva, Kansas. 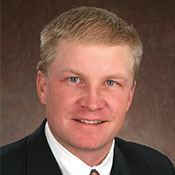 Prior to joining MKC in 2009, Brett worked for Farmland Industries in Kansas City, was the executive vice president for the Kansas Association of Wheat Growers, and served as a regional business manager for WestBred, LLC. Brett and his wife, Debbie, have two children and enjoy camping and traveling in their free time. 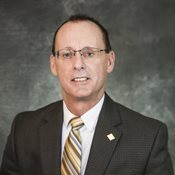 "Three goals we live by everyday are: safety; making sure our employees get back home every day to their families, employees: employing, developing and retaining the best people and team in the area, and customer service: providing the best service to customers before, during and after a purchase," Myers said. Spencer Reames serves as a senior location manager for MKC managing the Benton location. Before joining MKC, Spencer worked at Mid-America Ag Network. He graduated with a Bachelor’s of Science in information networking technology. His community involvement includes church activities and being the past chairperson for the MKC Community Involvement Committee. Spencer and his wife, Jenifer, have one child, Blakely. 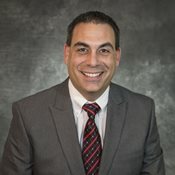 Jonathan Reazin currently serves as a senior location manager at Walton. Prior to joining the MKC team in 2011, Jonathan interned with MKC. Before interning, Jonathan learned about MKC through his grandfather who worked for MKC in the late 1970’s at the Groveland location. 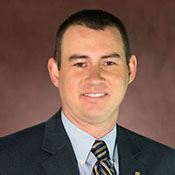 Jonathan received his bachelor’s degree in agriculture education from Oklahoma State University. He stays heavily involved with his community by being the vice president of McPherson County Fair Board and on the Advisory and Foundation Board for Walton Rural Life Center. During his free time Jonathan enjoys woodworking, home remodels and trucks. Jonathan and his wife, Jodi, have one son, Jhett. “MKC is a family," Reazin says. "MKC isn’t just a place to work, but it is an atmosphere to build a career. With our progressive and growth-oriented mind-set, MKC allows not only the opportunity to be on the leading edge of technology, but allows for career development and advancement. MKC cares about the success of all of our customers and our employees." To be eligible for a MKC scholarship, students must be planning to attend or return to an accredited university or college including a community, vocational or technical school. There will be more information to come on teh 2019 MKC Scholarship Program.